It’s that time of the year again. Black Friday and Cyber Monday — two of the internet’s most favorite days to shop online and take advantage of crazy discounts — are just around the corner, falling on November 23rd and November 26th respectively this year. Over the next few days, users across the web will start getting bombarded by promotional emails and marketing messages from product companies and services that have their marketing teams working round the clock trying to promote exclusive sales, special discounts, and other Black Friday & Cyber Monday offers. It becomes nearly impossible to keep up with all the Black Friday deals landing in your inbox. This issue is especially critical when you miss out on important emails because of the other clutter sitting in your inbox. So how do you handle this barrage of Black Friday & Cyber Monday Deal Emails in your Inbox? 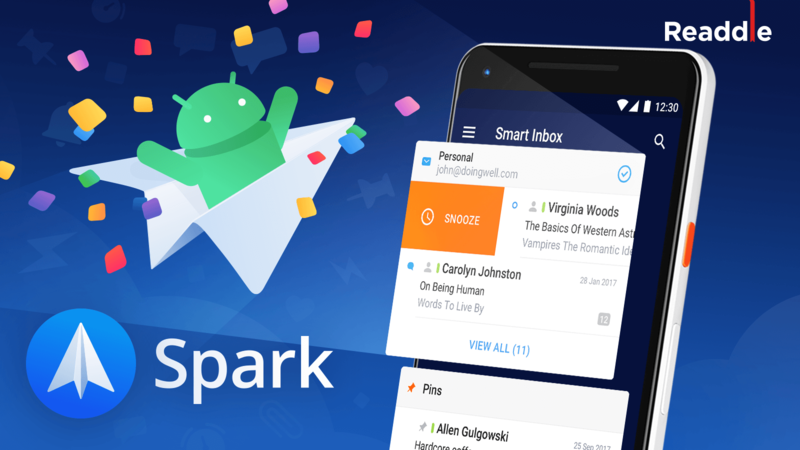 Whether you want to filter out all of the emails so that you can Archive or Delete them with a single click, or you want to keep up with all offers and discounts heading your way and ensure you don’t miss any, Spark Mail app has got your back. Let us see how Spark Mail app helps in this case. If you’re an existing Spark user, you’re already well aware of the powerful capabilities of Spark’s Smart Search feature. This makes searching for any email in your account very easy and also insanely quick. You can not only search for keywords using Natural Language, you can also filter the results within the same window. 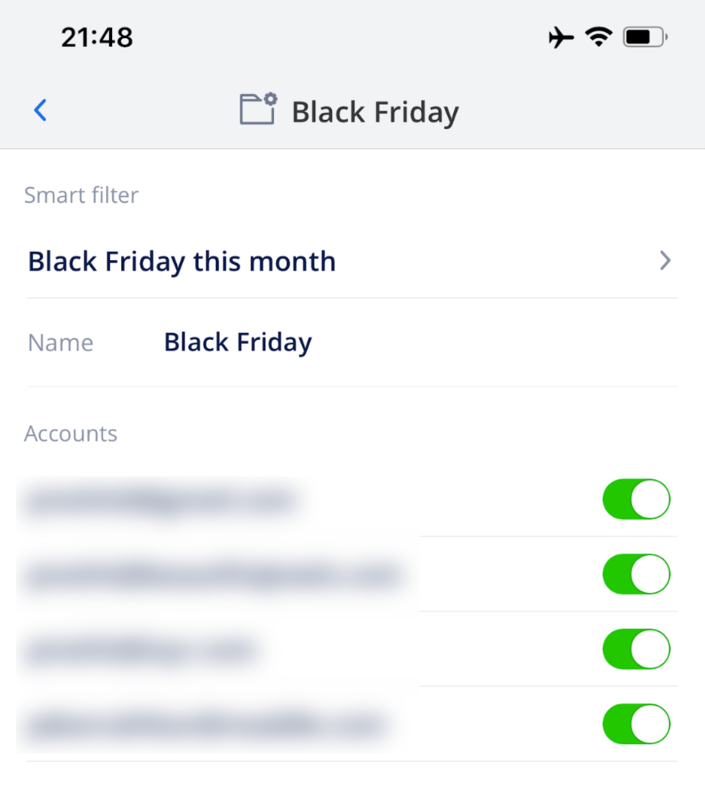 By using this powerful feature, combined with the Smart Folders in Spark, we’re going to take control over the Black Friday emails and gain some sanity. In simple terms, a “Smart Folder” is basically a filtered view in Spark that shows a list of all emails that meet a certain criteria. 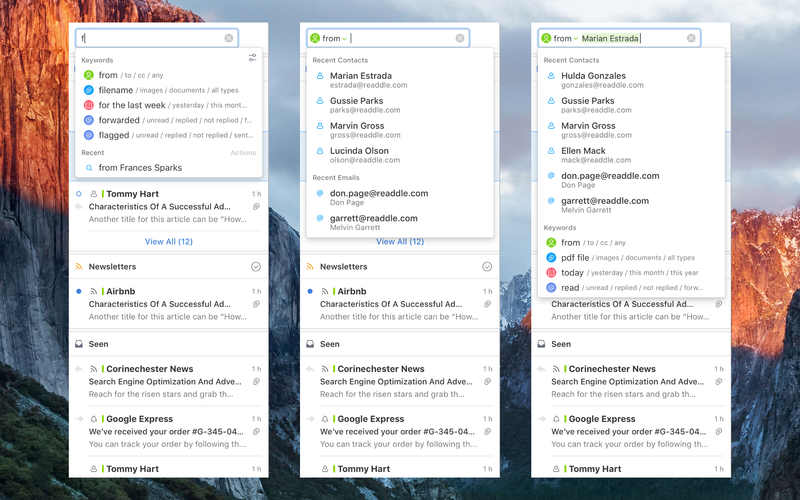 Unlike traditional email folders, Smart Folders don’t need to contain copies of every email. They’re, well, smart, and so they can show you your emails across your inbox, Archive, Sent items, and even across different email accounts. You just set a search criteria, and Smart Folders get to work. With this, you can create a special Smart Folder for all the Black Friday and Cyber Monday emails heading your way this week. 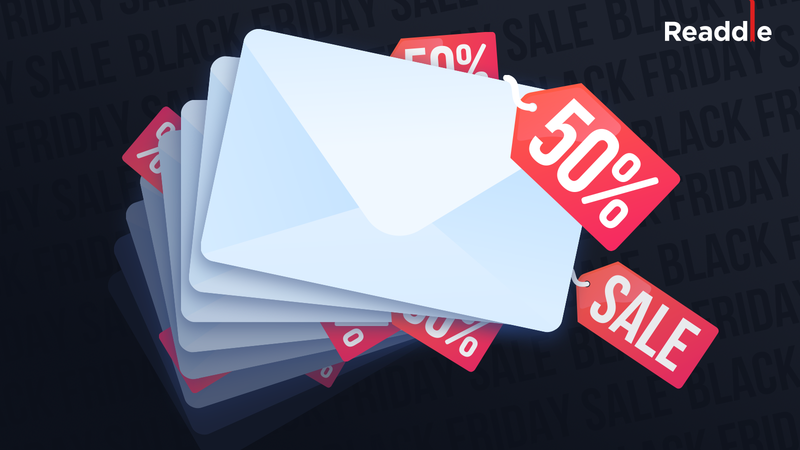 Here’s how to create a Smart Folder in your email app for Black Friday Emails. 1. Open Spark’s Preferences and navigate to the ‘Folders’ tab. 2. Click the little + button at the bottom left of the window and then click on the ‘Smart Folder’ option. 5. You probably don’t want to bother with emails from last year, so let’s narrow down the criteria by typing “this month” so it only shows emails from November 2018. 6. Optional: Choose which email accounts you want to look in. 7. Click on ‘Create’ when you’re done. Your new Smart Folder is now ready for you, and can be viewed in the Spark Sidebar. 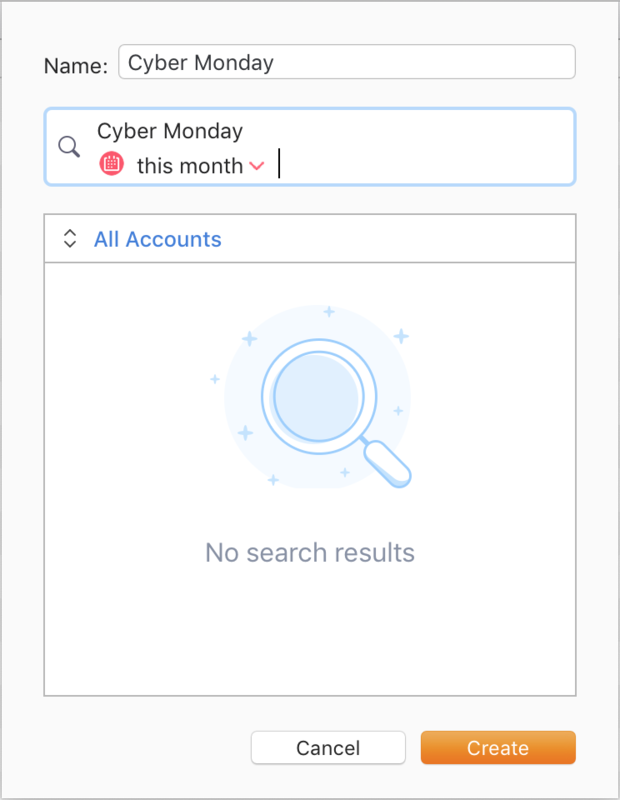 With a single click, you can view all your Black Friday and Cyber Monday emails together, and take action on them as and when you need to. Isn’t that cool? 1. 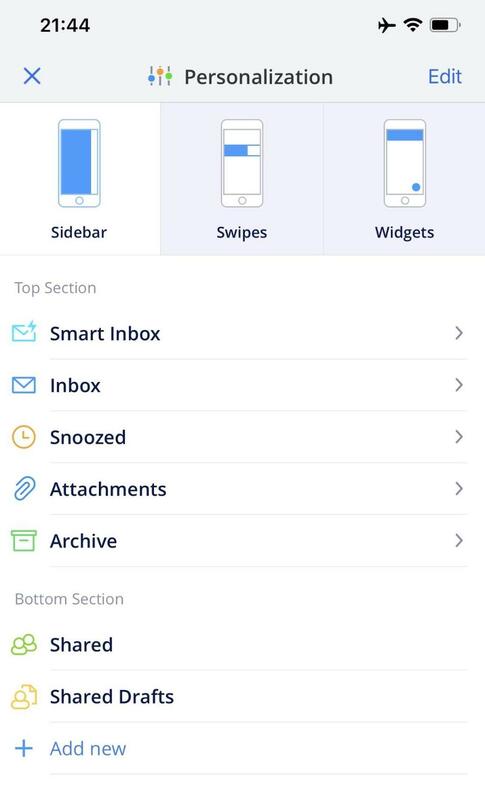 Launch Spark Mail app and open the Sidebar on the left. 2. Tap on the Personalization settings button and then tap the ‘Add new’ option at the bottom. 3. Tap on the ‘Smart Folder’ option in the list to create a new Smart Folder. 4. Type in the search criteria for your new Smart Folder, such as ‘Black Friday’. 5. Since you probably don’t care about emails from last year, let’s narrow down the Smart Folder to only show emails from “this month”. Then tap on ‘Save’. 6. Give your Smart Folder a relevant name and then select which email accounts you’d like to look in. 7. Tap on ‘Add’ when you’re done. 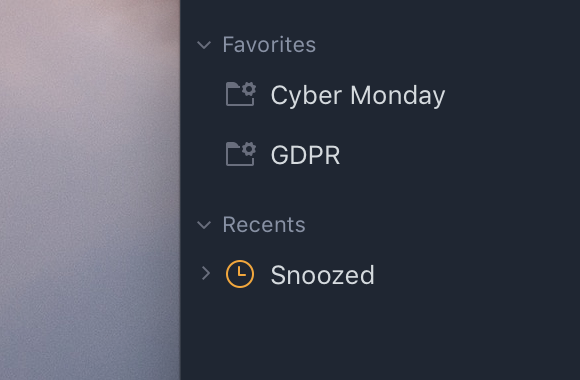 Your new Smart Folder is now ready for you in the sidebar, and will display all the Black Friday or Cyber Monday emails it finds in your accounts from this month. Now, with a quick tap, all your special offers, discounts, and promos are available for your perusal when you need them. And when you don’t, you can select all and archive or delete them with a few simple taps. Awesome, right!? 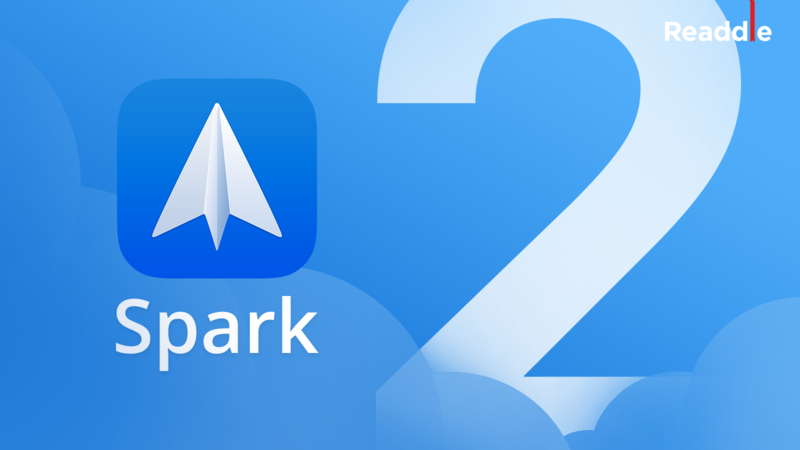 Spark Mail app is an incredibly powerful and feature-rich email app for your iOS and Mac devices. 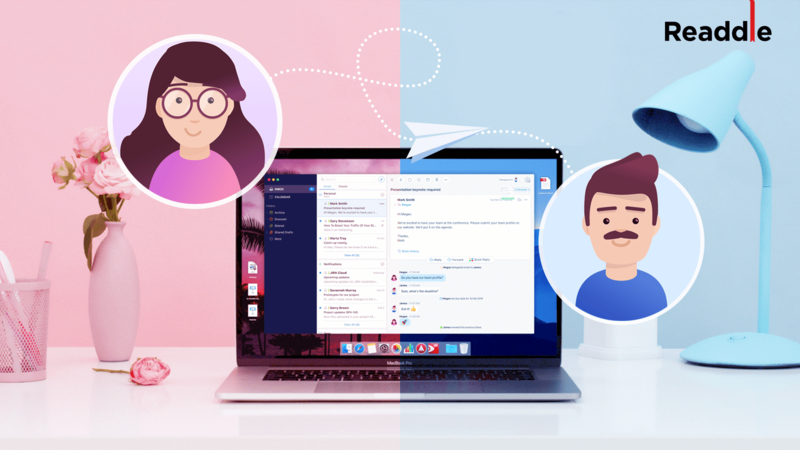 It ships with many nifty features that help you deal with the emails in your inbox and start loving your email again. If you haven’t already, go ahead and download Spark for Free — it’s the best email experience you’ll ever get.